What is the effect of preaching that is thoroughly biblical, authoritative, and well-studied? What is the result of expository preaching that is intensely doctrinal, Spirit-empowered, and delivered with a sense of urgency? How has God used the expository preaching of Martyn Lloyd-Jones and John MacArthur? J. I. Packer, then a student in London, has reflected upon what it was like to be under Lloyd-Jones’ preaching at Westminster Chapel. Packer writes: “I had never heard such preaching and was electrified” Further, Packer stated: “I have never heard another preacher with so much of God about him.” The effect of such preaching was powerful: “There was in the Doctor’s preaching thunder and lightning that no tape or transcription ever did or could capture…Through the thunder and lightning, I felt and saw as never before the glory of Christ and of His gospel as modern man’s only lifeline and learned by experience why historic Protestantism looks on preaching as the supreme means of grace and of communion with God.” Such is the power of God in the preaching of His Word. From untold numbers of people, the same testimonies can be offered concerning the authority of John MacArthur’s preaching. The Scripture proclaimed from his pulpit has come with life-changing impact upon those who have sat under its force. Baptismal services on Sunday evening at Grace Community Church reveal the repeated testimonies of those who have been converted under the power of the Word of God preached. Students at both The Master’s Seminary and College bear witness that the supernaturally empowered force of MacArthur’s pulpit has drawn them from across the country or the world to sit at his feet. On the occasion of the twenty-fifth anniversary of John MacArthur’s presidency of The Master’s Seminary, it is only fitting that we give praise to Christ for this faithful servant. For over four decades, this distinguished leader has given himself to the preaching of God’s Word at Grace Church. What is more, he has used his influence in the training of the next generation of biblical expositors, Spirit-empowered preachers who follow in their president’s footsteps. May MacArthur’s life and pulpit legacy significantly influence a new generation of dynamic heralds of God’s Word. And may there come from their midst, the next wave of leading voices in the church. Finally, Lloyd-Jones and MacArthur, as they have stood in their pulpits with an open Bible, have been gripped by the weightiness of their message. These are both no non-sense men, marked by sobriety, gravity, and dignity. These men are expositors, not entertainers. Lloyd-Jones was fond to say that the preacher must be as Richard Baxter once stated: “I preached as never sure to preach again and as a dying man to dying men.” As they have proclaimed the Word, the weightiness of their message has rested upon them. Such gravitas has made their preaching impactful upon their listeners. Lloyd-Jones maintained that the preacher must be dominated by what he preaches: “A preacher must always convey the impression that he himself has been gripped by what he is saying. If he has not been gripped, nobody else will be…He must impress the people by the fact that he is taken up and absorbed by what he is doing. He is full of matter, and he is anxious to impart this.” Lloyd-Jones believed that the truth must sober the man of God: “The preacher must be a serious man; he must never give the impression that preaching is something light or superficial.” Such seriousness was certainly seen in Lloyd-Jones’ pulpit demeanor. Lloyd-Jones warns: “A preacher of necessity must give the impression that he is dealing with the most serious matter that men and women can ever consider together.” The preacher “should always create and convey the impression of the seriousness of what is happening the moment he even appears in the pulpit.” The preacher should reflect a sense of gravity in his countenance, tone, and delivery. Bottomline, “I would say that a dull preacher is a contradiction in terms; if he is dull, he is not a preacher.” Simply put, a lackluster preacher is one who has never been gripped by the truth he proclaims. If he remains stoic, it is because the truth has not affected him. Lloyd-Jones stresses: “A man who is not moved by these things, I maintain, has never really understood them. A man is not an intellect in a vacuum; he is a whole person. He has a heart as well as a head; and if his head truly understands, his heart will be moved.” Despondent over monotone preaching, Lloyd-Jones agonized: “Where is the passion in preaching that has always characterized great preaching in the past? Why are not modern preachers moved and carried away as the great preachers of the past so often were? The Truth has not changed. Do we believe it, have we been gripped and humbled by it, and then exalted until we are ‘lost in wonder love and praise?’” If the preacher is not on fire, the truth will never ignite the people. In the same way, MacArthur embodies a similar gravity in preaching. Describing the passion that must be present in preaching, he urges: “Feel deeply about the truth you are to preach. Remember that expositors have a mandate from God to preach the truth and that eternal consequences hang in the balance. This mandate is not easy to obey, nor is it a light load to carry.” No one, after hearing MacArthur, would conclude that he is anything less than blood-earnest in his preaching. He adds: “Taking this charge seriously produces an inner compulsion to reach the pulpit better prepared than when leaving the study.” In other words, every preacher must feel the responsibility of his calling weighing heavily upon him. Without this inner sobriety, MacArthur concludes, there is no true preaching. To this end, MacArthur sounds this clear warning: “Evangelicals have lost their tolerance for bold, confrontative, biblical preaching. People have demanded to be entertained. Pastors, fearful of ‘turning people off,’ have acquiesced to public opinion. And now the church, on several fronts, is flirting with serious doctrinal error, unable to distinguish truth from falsehood. Having turned aside from the truth, they are susceptible to myths.” But to the contrary, MacArthur asserts that the man of God must be fearless in the pulpit: “The preacher of the Word must be bold, thorough, unrelenting, persevering in the face of hardship and opposition—and above all, fearless.” Sadly, he states, “This kind of sobriety is the polar opposite of the flaky, whimsical, superficial, celebrity-type televangelists who color the public perception of preachers today.” Thus, MacArthur earnestly pleads, “The faithful preacher should be well-rooted and grounded, steadfast, stable—rock-solid.” In short, if a man is to truly preach, a sobering sense of God must weigh heavily upon him. If there is to be biblical exposition, the preacher must first be gripped by the Word of God. Without question, MacArthur has ardently demonstrated this kind of awe-inspiring preaching to an entire generation. Sixth, Lloyd-Jones and MacArthur have stressed their utter dependence upon the Holy Spirit in preaching. Their complete reliance involves the Spirit’s role in the preacher’s study, as well as in the pulpit. The expositor’s preparation in diligent study of the Word is entirely dependent upon the Holy Spirit must enlighten the expositor’s understanding of the biblical text and deepen his convictions in it. The same can be said regarding the Spirit’s role in delivering the sermon. There can be no real preaching apart from the supernatural empowering of the Spirit of God. 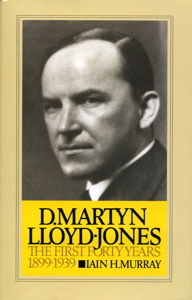 Lloyd-Jones asserted that the Spirit’s work in the preacher’s delivery is “the greatest essential in connection with preaching.” Authoritative preaching, he claimed, “is God giving power, and enabling [him], through the Spirit… [to] do this work in a manner that lifts it up beyond the efforts and endeavors of man.” Such preaching is God in the preacher, energizing him to expound the Scripture with supernatural ability. He states, “If there is no power, it is not preaching. True preaching, after all, is God acting. It is not just a man uttering words; it is God using him. He is being used of God. He is under the influence of the Holy Spirit.” Lloyd-Jones believed this divine element in preaching is the empowerment of the Holy Spirit. Recognizing this supernatural dimension, Lloyd-Jones described the Spirit’s activity in the preacher: “You are a man ‘possessed,’ you are taken hold of, and taken up…you have a feeling that you are not actually doing the preaching…You are looking on at yourself in amazement as this is happening. It is not your effort; you are just the instrument, the channel, the vehicle: and the Spirit is using you, and you are looking on in great enjoyment and astonishment.” By this, Lloyd-Jones affirmed the sovereign work of the third member of the Godhead in preaching, quickening his mind, enflaming his affections, and deepening his convictions. In the pulpit, Lloyd-Jones acknowledged that the Spirit gives an expansion of thought and depth of profound expression: “It is of the very essence of the act of preaching—this freedom in your own mind and spirit, this being free to the influences of the Spirit upon you. If we believe in the Holy Spirit at all, we must believe that He is acting powerfully while we are engaged in this most serious and wonderful work.” Therefore, he urged that the preacher should earnestly pray that God would “let Him manifest His power in you and through you.” Lloyd-Jones believed: “Nothing but a return of this power of the Spirit on our preaching is going to avail us anything. This makes true preaching.” In short, Lloyd-Jones affirmed that if preaching is to know God’s blessing, it must know the power of God’s Spirit. MacArthur, likewise, emphasizes the preacher’s complete reliance upon the Holy Spirit. “Powerful preaching occurs,” he writes, “only when a Spirit-illumined man of God expounds clearly and compellingly God’s Spirit-inspired revelation in Scripture to a Spirit-illumined congregation.” The Holy Spirit, who inspired the biblical text, is the same Spirit who must enlighten the preacher and the congregation. MacArthur clarifies: “Illumination is the work of the Holy Spirit that opens one’s spiritual eyes to comprehend the meaning of the Word of God. It involves the preacher of Scripture and his audience. God’s objective and historically past revelation in Scripture cannot be understood accurately apart from the present, personal, and subjective work of the Holy Spirit.” Without the Spirit teaching both the preacher and the listener, the Bible remains something of a closed book. Without His empowerment, the preacher will resort to manipulative techniques and fleshly coercions with the listener. In preaching, MacArthur affirms that the preacher must not depend upon mere rhetoric, but upon the Holy Spirit: “Regardless of the erudition, the compelling logic, the soaring rhetoric, or the clever and interesting communication style, if the truth spoken is not accompanied by the power of God, it accomplishes nothing. But when empowered by God as it enters the prepared soul, the gospel truth saves.” To this end, MacArthur stresses that the Spirit must be at work, or preaching is vain: “Genuine soul-transforming power accompanying gospel preaching is the work of the Spirit energizing both the preacher and the hearer.” The preacher can deliver the truth to the listener’s ear, but the Holy Spirit must take it to the mind and heart. Aware of his vulnerability, MacArthur states: “I just pray that my own church would be a place of powerful preaching, and that we would never substitute anything for the Spirit-energized preaching of Christ, His cross, and the Word of God.” No amount of truth, if delivered without the Spirit’s ministry, can impact those who hear it. Is it any wonder that God has chosen to bless these two faithful servants, Lloyd-Jones and MacArthur, as they have relied upon the Holy Spirit in their respective pulpits? 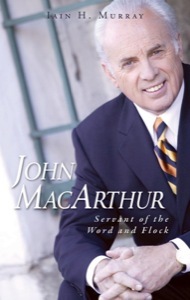 and MacArthur have been committed to preaching biblical and systematic theology from each text. Consequently, Lloyd-Jones believed that strong preaching demands that the preacher have a strategic grasp of systematic theology: “To me there is nothing more important in a preacher than that he should know it and be well grounded in it. This systematic theology, this body of truth which is derived from the Scripture, should always be present as a background and as a controlling influence in his preaching.” For Lloyd-Jones, sound doctrine was the very backbone of his preaching. Each passage must be tested by the analogy of Scripture and show its perfect consistency with the rest of Scripture. Murray explains that for Lloyd-Jones, preaching expositionally is “not simply to give the correct grammatical sense of a verse or passage. It is rather to set out the principles or doctrines which the words are intended to convey. True expository preaching is, therefore, doctrinal preaching, it is preaching which addresses specific truths from God to man.” Without teaching the doctrine of a passage, a sermon is devoid of power. Thus, Lloyd-Jones asserted, “The purpose of studying the Scripture is to arrive at doctrine.” Setting forth the doctrine of the passage, he believed, is essential to the sermon. This same focus upon sound doctrine is found in MacArthur’s preaching. This noted preacher writes: “The pastor’s purpose is not to make Scripture relevant to his people but to enable them to understand doctrine, which becomes the foundation of their spiritual living.” No matter what people want, MacArthur states, solid theology must be put forth. He writes: “People’s ears may be itching for anything but sound doctrine, but the faithful pastor will defy the spirit of the age, confront his own fear, and boldly preach the truth anyway.” Accordingly, he states: “In his preaching and teaching, it should be the pastor’s sole objective to enlighten his congregation in doctrine that protects and preserves their spiritual health.” In other words, right living results from right doctrine. Regarding current trends, MacArthur notes: “There is much relational preaching today that attempts to make people feel better about themselves and about how God might feel about them, but there is little forceful defense of the full truth. As in most periods of church history, strong and effective defenders of the faith are at a premium.” Expositors of sound doctrine is the dire need in this present hour, he believes, those who uphold the standard of sound words. Such a commitment to preaching “the faith once for all delivered to the saints” galvanizes the pulpit. Fourth, Lloyd-Jones and MacArthur were equally committed to serious study in their sermon preparation. Possessing commanding intellects, these two master expositors feverishly devoted themselves to the diligent study of the Scripture. The depth of their sermon preparation has determined the breadth of their ministry. Both men have labored to search the Scripture in order to discover its essential meaning, key doctrines, and timeless principles. As a promising medical student, Lloyd-Jones knew the discipline required in rigorous academic study. Following his demanding schooling, he joined the staff of the foremost teaching hospital in the world, St. Bartholomew’s Hospital in London. There he became the chief clinical assistant to Sir Thomas Horder, a leading heart physician and doctor to the royal family. Under this privileged tutelage, Horder’s Socratic approach to logic and learning sharpened the intellectual prowess of this future preacher. Horder acclaimed Lloyd-Jones to be “the most acute thinker that I ever knew.” Once converted and called into ministry, Lloyd-Jones applied his ingenious mind to the study of Scripture. In this pursuit, Lloyd-Jones’s entire life was “immersed in Scripture.” Using the Robert Murray McCheyne system of daily Scripture reading, he poured over four passages of Scripture each day, two in the morning and two at night. Those who knew him best said: “He knew that Bible inside and out!” For Lloyd-Jones, this gave him a thorough knowledge of the whole Bible. As he dug into each text, he looked for the doctrine taught therein. Lloyd-Jones said: “Biblical study is of very little value if it ends in and of itself and is mainly a matter of the meaning of the words. The purpose of studying the Scripture is to arrive at its doctrine.” Like a hard-working miner, he explored each passage until he extracted its theological gems, core doctrines, and biblical principles. Out of this daily reading and sermon preparation, he was armed with the truth and, in turn, preached the Word. Hard study has been equally present in MacArthur’s sermon preparation. Iain Murray notes this relentless pursuit in study of the Scripture: “For forty-four or forty-five Sundays, through forty years, two new sermons have been prepared every week; in the early years it was three, as MacArthur also spoke at the church on Wednesday nights. The pattern of his week has been to give the best of his time, from Tuesday to Friday, to preparation for preaching.” This regimented study has been consistent over the lengthy span of more than four decades. Murray adds: “In early years, this meant some fifteen hours of work for each sermon; and he still requires from eight to ten hours.” Week after week, month after month, year after year, MacArthur has devoted himself to the meticulous study of the biblical text. The deeper he has dug down into the text, the stronger his pulpit has grown. MacArthur contends, “Rightly dividing the Word of truth demands great effort. It was originally written many years ago in very different contexts, today’s exegete has to work hard to bridge the gaps of language, culture, geography, and history. He must also do his best to understand the flow of the argument, as it would have been understood by its original readers” and “intended by its original human author.” In summary, MacArthur states, “The meaning of the Scripture is the Scripture. If you do not have the interpretation of the passage right, then you do not have the Word of God, because only the true meaning is the Word of God.” Consequently, MacArthur has shown himself firmly committed to finding the proper interpretation of the biblical text. Until he has it, he realizes, he can proceed no further. 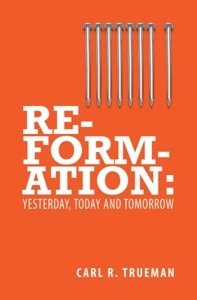 I recently read Carl Trueman’s Reformation: Yesterday, Today and Tomorrow. This powerful little book offers some great insights into various topics including preaching. Here are a few excerpts from Professor Trueman’s book (republished by Christian Focus Publications). For those, however, standing in the line of the Reformers, humanity, even in its highest natural spiritual exercises, is in a state of utter rebellion against God, and no elaborate string of words, no compelling argument, no passionate speech will ever bring a single individual to Christ. It is only as those words bring with them the Holy Spirit of God bearing witness to Christ that the sermon becomes adequate to its task. Thus, we preach, we speak the words of God not because this is the marketing method most likely to appeal to the unbeliever but simply because this is God’s appointed means of coming to individuals and bringing them to faith. Indeed, precisely because it is so weak and hopeless by the world’s standards, it brings that much more glory to God when souls are saved and lives turned round through this medium. Of course we must use language with which the congregation is familiar; of course we must be aware that we are talking to people in the twenty-first century and not the sixteenth; and of course we must be culturally sensitive in what we say; but preach we must because this is God’s chosen means of spreading the news of the kingdom. Preaching is not just a communication technique, and must never be considered as such; it is bringing the very words of God to bear upon the life and needs of sinners and of the congregations of God’s people. For this reason, if for no other, the sermon must remain central in our worship….. Furthermore, it is surely no coincidence that the marginalizing of the sermon is evangelical life has led not so much to a collapse in zeal for the gospel – for there are many, particularly young people, who come from churches where preaching is not central yet have an enviable zeal – but has led to a dramatic decline among the laity in knowledge of exactly what that gospel is. Working with evangelical students, it never ceases to astound me how little some of them know. Yes, they love Christ and trust him for forgiveness; but ask them why they have confidence that he forgives them or what the cross achieved, and one is often confronted with a reply which speaks about some nebulous experience or feeling which they have rather than a reference to the cross or to covenant promises. The reason for this lack is almost always their church background: fellowships where great emphasis may well be placed upon a vital and vibrant Christian life but where preaching is at a discount. The result is that their minds are empty of great Christian truths and their faith has less than fully stable foundations, being built on pious experiences rather than a well-thought-out biblical and doctrinal worldview rooted in the identity of God himself as found in his revelation. We need to know that we can be confident that God is faithful because of what he has done throughout history, not because we ourselves had some experience at some point in time; and how are we to know this unless somebody tells us? The first thing that a preacher needs to realize, therefore, is the seriousness of the task he is undertaking: on his shoulders rests the responsibility of giving his people solid rock on which to build their lives; and in preaching, he is moving the divine Word of God from the divinely inspired text through the words of his sermon to the hearts and minds of his people. He is thus handling, so to speak, the Word of God, something which is both an immense privilege and an awesome responsibility. He must therefore take care that he gets it right and that his attitude towards the task is one appropriate to its gravity. As Richard Baxter declared, ‘I preached as a dying man to dying men.’ The pulpit was thus no place for clowning or levity or entertaining his congregation; every Sunday it was a place where, perhaps for the last time, he had an opportunity of speaking to men and women about the great things of God. We, of course, live in age where entertainment is one of the be-all-and-end-alls of life; but Christianity is always to an extent counter-cultural, and this is one point on which we cannot afford to be anything else. The preaching ministry is thus something which should not be entered into lightly; nor is the sermon something which either minister or congregation should approach in a light or trivial manner. The preacher has the responsibility of both expounding God’s truth and of doing so in a manner which confronts his congregation with the awesomeness of God’s greatness and holiness and the vastness of his grace and love. It takes, therefore, a particular kind of man with a particular calling to perform this task. He’s the “Jack of all trades, master of none.” I am referring of course to the role of Senior Pastor. As the ‘leader among leaders’ I am responsible for providing overall oversight to all the ministries that make up the First Baptist Church of Freeport. That does not mean however that my hand is equally deep in every pot. I certainly embrace the plural leadership model but now I digress. I am going on year four as the lead pastor/elder at FBC, Freeport. My main task is to “feed Jesus’ sheep” (John 21:17). To “devote myself to prayer, and to the ministry of the Word” (Acts 6:4). To “preach the Word, in season and out of season” (2 Tim 4:2). I am also responsible to shepherd the flock of God (1 Peter 5:1-4) with my fellow undershepherds; and to provide pastoral oversight (1 Thessalonians 5:12, Hebrews 13:17, 1 Timothy 5:17). When I graduated from seminary I sort of thought that I would finally be able to read what I wanted to read rather than simply digest what my professors asked me/us to take in. That assumption is partially right. For example I am currently reading Rick Holland’s, Uneclipsing the Son, Earl Blackburn’s, Jesus Loves the Church and So Should You, Douglas Bond’s, The Mighty Weakness of John Knox, and Carl Trueman’s, Reformation; Yesterday, Today, and Tomorrow for my soul’s sake. Those books or authors peaked my interest and so upon purchasing them I evidentially got around to reading them. 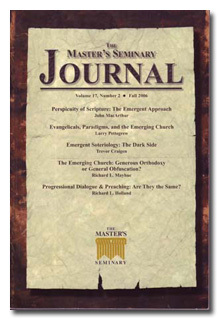 This might surprise you but most ordinary pastors are not seminary professors. Very few of us are subject matter experts on anything. I love to study church history but I am certainly no Iain Murray or Nate Busenitz. I love systematic theology but I am no Ph D. I enjoy studying the original languages but I am most definitely not a Bill Barrick, a Bill Mounce, or an Abner Chou. Part of this comes back to my opening sentence. 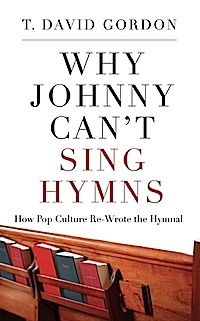 We local church pastors are the “Jack of all trades, master of none.” For example, over the past few years I have read Singing and Making Music, Worship Matters, Why Johnny Can’t Sing Hymns, and parts of Christ-Centered Worship. Why? If I am going to provide helpful biblical oversight to a local church ministry in need of some TLC then I need to educate myself accordingly. The same thing is true with my expository pulpit ministry. I am currently preaching through Colossians 3:17-4:1 (the Lordship of Christ in Relationships). When I finished my exegesis of verses 18-19 I then turned my attention to commentaries and to helpful books on marriage. That meant over the past few weeks I’ve read or reread Feminine Appeal, Biblical Womanhood in the Home, and parts of Radical Womanhood and the Exemplary Husband. I am also involved each year in a leadership training and development ministry at our church. This particular ministry is exclusively geared towards our men (leaders and future leaders, per 2 Timothy 2:2). Guess what? That means that I need to reread the books that Pastor Steve and I are asking our guys to read. So I am enjoying (again) books like When Good Kids Make Bad Choices, The Master’s Plan for the Church, Stop Dating the Church, Blame it on the Brain, He Is Not Silent, The New Testament Deacon, Grudem’s Systematic Theology etc, etc. As the Senior Pastor I am also involved in various counseling relationships. This means my wife and I may be enjoying for the eighth time the wonderful teaching of The Excellent Wife or the Exemplary Husband . Or I may be reading with a counselee At the Altar of Sexual Idolatry or Shepherding a Child’s Heart.